Nintendo 3DS In March: Slim Pickings? After a star-studded February, it appears Nintendo's system will come back to Earth next month. This has already been one of the most impressive Februarys in portable gaming history, and we're sure Nintendo would agree, thanks to games like Resident Evil: Revelations, Tekken 3D Prime Edition and Mario & Sonic at the London 2012 Olympic Games. Even better, there's still more to go, with Metal Gear Solid: Snake Eater 3D appearing next week. 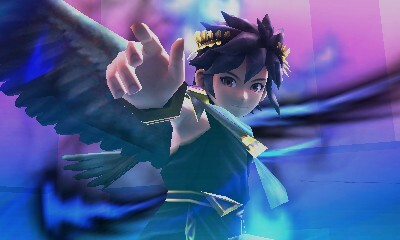 Kid Icarus: Uprising looks incredible, but Nintendo's game debuts towards the end of March. This bodes well for Mario and Co., especially with Sony launching PlayStation Vita this week and next alongside a fine selection of games. Think of Vita as a body of raging water, when all of a sudden, Nintendo erects a dam. Taking this into account, we'd like to see the big N keep this up. The odds of 3DS losing significant ground to Sony because of one poor month are slim, but at this point, Nintendo shouldn't remove its foot off the gas one bit. That said, we can't help but wonder what the deal is with March. We already know Sony has Vita games on the way, due to drop sometime within the launch window. What does Nintendo have on deck? Nicktoons MLB 3D, Crush 3D and Kid Icarus: Uprising. Granted, that last game is potentially huge, but it won't come out until March 23. Sony, meanwhile, has Ridge Racer, MLB 12: The Show and Unit 13, three possible hits. Unit 13 could be a big seller for PlayStation Vita in March. Combine that with a $50 million Vita marketing campaign, and all of a sudden, Nintendo seems just the slightest bit vulnerable. Of course, we have no idea at this point how well Sony's handheld will perform in the U.S. and Europe. For all we know, the machine will fail to resonate with consumers, but it's clear the competition intends to go hard at retail, and with the handheld wars reignited, Nintendo still doesn't have enough breathing room.